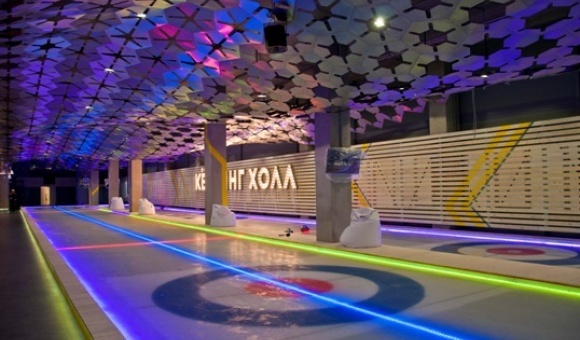 The Curling Hall on Bukharestskaya is a new sports and entertainment venue on the third floor of Continent Shopping Mall. 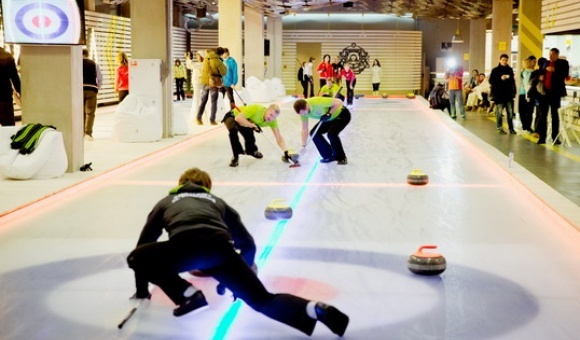 The guests are invited to play on two ice sheets, available to curling fans 24/7! 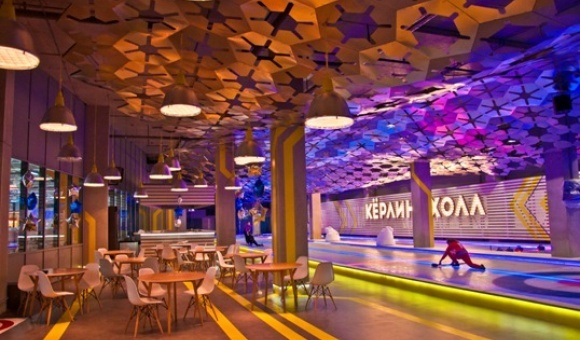 The 800 square meters of ultra-modern space with lighting equipment, with a comfortable lounge allow organization of night games and makes the space ideal for fans of active lifestyle! The Curling Hall has been equipped with all the necessary equipment and tools for holding not only amateur events but international level competitions as well.